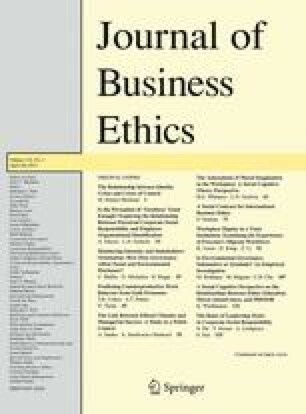 We investigated the relationship between guilt proneness and counterproductive work behavior (CWB) using a diverse sample of employed adults working in a variety of different industries at various levels in their organizations. CWB refers to behaviors that harm or are intended to harm organizations or people in organizations. Guilt proneness is a personality trait characterized by a predisposition to experience negative feelings about personal wrongdoing. CWB was engaged in less frequently by individuals high in guilt proneness compared to those low in guilt proneness, controlling for other known correlates of CWB. CWB was also predicted by gender, age, intention to turnover, interpersonal conflict at work, and negative affect at work. Given the detrimental impact of CWB on people and organizations, it may be wise for employers to consider guilt proneness when making hiring decisions. This paper was presented at the 2012 conference of the International Association for Conflict Management (IACM) in Cape Town, South Africa. This research was made possible through the support of the Tepper School of Business at Carnegie Mellon University and a grant by the Berkman Faculty Development Fund at Carnegie Mellon University. We also wish to thank the members of the Character Project at Wake Forest University for valuable feedback on this research. Berry, C. M., Carpenter, N. C., & Barratt, C. L. (2012). Do other-reports of counterproductive work behavior provide an incremental contribution over self-reports? A meta-analytic comparison. Journal of Applied Psychology. doi: 10.1037/a0026739. Chance, Z., Norton, M. I., Gino, F., & Ariely, D. (2011). Temporal view of the costs and benefits of self-deception. Proceedings of the National Academy of Sciences. doi: 10.1073/pnas.1010658108. Cohen, T. R., Panter, A. T., Turan, N., & Morse, L. A. (2012). The WECT Project: Workplace experiences and character traits [project information]. Retrieved from http://WECTProject.org. Flynn, F. J., & Schaumberg, R. L. (2011). When feeling bad leads to feeling good: Guilt-proneness and affective organizational commitment. Journal of Applied Psychology. doi: 10.1037/a0024166. Hampson, S. E. (2011). Personality processes: Mechanisms by which personality traits “get outside the skin”. Annual Review of Psychology. doi: 10.1146/annurev-psych-120710-100419. U.S. Bureau of Labor Statistics. (2010a). 2010 Standard Occupational Classification (SOC User Guide). http://www.bls.gov/soc/#materials. U.S. Bureau of Labor Statistics. (2010b). American time use survey. http://www.bls.gov/news.release/atus.nr0.htm.